Sanvitalia’s common name describes its flower form and its low-growing creeping habit. 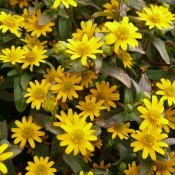 It is a low maintenance plant and has a profusion of little yellow flowers from spring until fall. Performs well in baskets, containers, and landscapes. 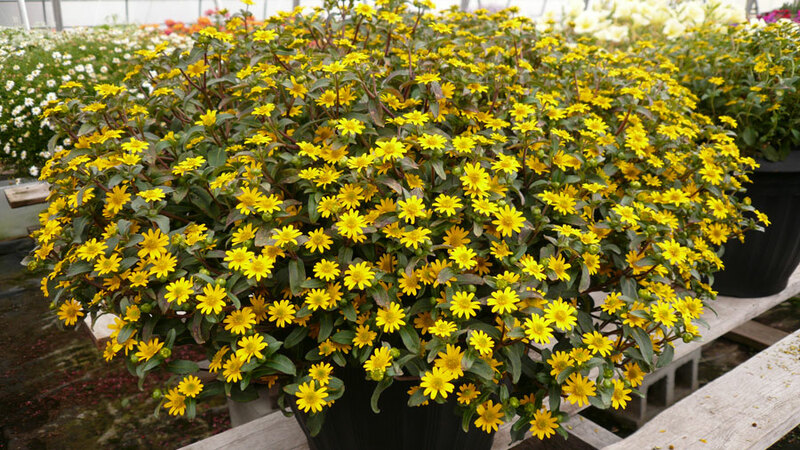 Sanvitalia Sunshine has bright yellow flowers and chartreuse coloured centers; beautifully emphasized by its dark green foliage. It has a compact, mounding and semi-trailing growth habit which makes it perfect for garden beds, baskets, and mixed containers.